At Cutter & Lax, Attorneys at Law, we know just how difficult it can be to deal with complex situations relating to family law. No matter whether you are seeking a dissolution of your marriage or if you are facing a complex child custody battle, it is important to know that you have experienced legal representation on your side. At our firm, we are proud to represent clients in all types of different family law cases – from alimony to property division to establishing or de-establishing paternity. With more than 30 years of experience, our Ventura County family lawyers have the in-depth knowledge that you need to protect your rights. Looking to move away after a divorce? Seeking a modification of a court order? Wanting to adopt a child? These are all scenarios which fall under the umbrella of family law. At our firm, we understand just how difficult it is to deal with these emotionally charged topics and we want you to know that we are here to help protect you. At the heart of Ventura County, we make it easy for our clients to seek the professional legal representation that they deserve. If you are looking for someone to help you through any area of family law issue. We also encourage you to stay in communication with us even when you are not on this site. We are active on Facebook, Twitter, Google+ and more – so follow us, like us or put us in your circle. There, you will be able to receive updates from our firm, as well as breaking news about family law issues or headline making news. One of our founding attorneys, Nelson F. Cutter, is a retired JAG officer and spent four years working as the Chief of Legal Assistance at the White Sands Missile Range in New Mexico. With a blend of legal and military experience, he is uniquely qualified to help military members with their divorces; however, he has the compassionate, clear-eyed knowledge necessary to help anyone with a wide-variety of legal issues. Beyond his time spent there, he also proudly worked as the Deputy District Attorney for El Paso County in Colorado. 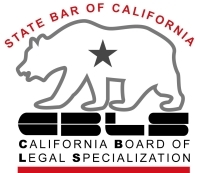 Our other attorney, Matthew E. Lax, is board certified by the State Bar of California Board of Legal Specialization in family law. He graduated from California State University, Northridge with a B.S. in Political Science before attending Whittier Law School, where he received his Juris Doctorate. He has been admitted to practice law in the state of California, as well as all federal district courts within the state. He has become known as a straight talking attorney with a deep investment into the cases of all of his clients. Mr. Lax does not satisfy himself with subpar assistance; instead he goes above and beyond to ensure that his clients are cared for and protected. If you are looking to discuss your case with a Ventura County divorce & family lawyer today, we encourage you to contact us as soon as possible. Over the years, we have proven ourselves to be advocates for families throughout the Ventura County area. Simply pick up the phone and call us today at 805-475-3969. You can also fill out our online case evaluation form to contact Cutter & Lax directly. Either way, we look forward to hearing from you and being able to assist you in seeking a just resolution of your case. Located at 2625 Townsgate Road, Suite 330, Westlake Village, CA 91361.